The iconic series of branded Wheel of Fortune titles proved to be a highly profitable range of slots, with nearly 30 slot machines in gaming sites globally, based on the acclaimed TV game show responsible for its name. The Wheel of Fortune it turns out was simply one of their most popular slots, with the result that it was an automatic choice for software re-engineering to afford mobile compatibility to all iOS and Android bettors. 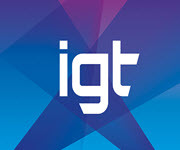 IGT enjoyed so much success with its range of 720 ways to win titles on mobile they ultimately released an exclusive mobile only slot, by ways of the magnificent Sushi Yum Yum, not forgetting an honourable mention to a world favourite, their Siberian Storm video slot. The Wheel of Fortune Triple Extreme Spin video slot offers a 5 reel variable row 720 ways to win reel-set with no standardised pay-line structure and their bespoke MultiWay Xtra feature, where wins can continue to be formed provided there remains matching symbols in the adjacent reel from its left side. Over and above this, IGT saw fit to introduce quite unique bonus offerings on this version of their Wheel of Fortune series of slot titles. Firstly, free spins were replaced by two click-me plays, during its pretty frequent Mini Wheel bonus players could win up to 77x starting wager. The lesser activated Triple Extreme Bonus offers players a delicious 2919x starting wager. The slot features an original sound track, matching the spinning wheels and intro music while loading and waiting for game play. The wild, illustrated by an oversized red Wild logo, joined by two scatters, the first depicted by an oversized Scatter logo, the other being its Triple Wheels, with each scatter activating different feature plays. The Triple Extreme Spin Bonus, activated by three or more Triple Wheel scatters appearing anywhere on the reels, to offer the pick-me envelope play. The Mini Wheel Bonus, activated by three or more scatters appearing anywhere on the reels, the wheels will spin revealing coin prizes. This game is live and ready for play with mobile casinos offering IGT titles. New Royal Masquerade video slot is now part of the wide selection of mobile games available at Mr Green Casino. The exciting new mobile game confirms that Play’n Go continues to be full of surprises and the new game promises to be an extremely extravagant affair. 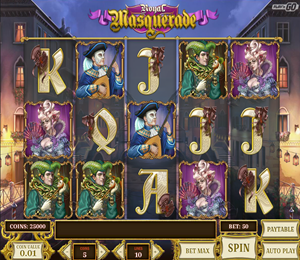 Royal Masquerade is a 5 reel, 10 payline video slot inspired by the phantom of the opera displayed in the graphics and a Venetian theme. The game is available to all mobile and tablet users, and offers options enjoyed with a large betting range starting from $0.10 to $100 per spin. The game invites players to a night of romance and mystery at a baroque fancy-dress costume ball, backed with a tenor singing, giving the slot a majestic feel. Beautiful symbols are represented by several distinguished guests, including jesters, madams, bards, kings, and queens. Bonus features include wilds, scatters, free spins, and a massive win up to 500,000 coins. All wins are celebrated by impressive animations. The soft blue and gold mask wild substitutes for all symbols, excluding the scatter, to provide high-value winning combinations. The wild symbol also appears stacked on the reels in both the base and free spins bonus rounds. The golden scatter guarantees a win on every spin it is part of, once three scatters appears on the reels, 5 free spins are awarded and every scatter appearing in the duration of the free spins feature will trigger an additional 2 free spins up to a maximum of 20 free spins. The feature is guaranteed to provide a minimum of 1 winning combination. Mobile players can enjoy the massive wins along with smooth play and amazing graphics from anywhere, while the background sound sure is impressive and highly complementary to the theme. As part of its seventh birthday celebrations Win A Day announced the launch of their new dinosaur themed mobile slot called “Lost World”. Lost World invites players back to the prehistoric ages, a time when dinosaurs ruled the earth. The video slot offers 5 reels featuring 20 pay-lines, packed with shifting-reel free spins, wilds, win multipliers reaching up to 5x the wagered amount, and expanding wilds. Outstanding graphics display a variety of dinosaur symbols including raptor claws, triceratops, dinosaur eggs, and brontosaurs amongst other dinosaurs. Shifting Reels Free Spins rounds trigger when three or more bonus symbols appear and activate with both expanding and normal wilds. Awarding up to 15 free spins, depending on the dinosaur collected at the beginning of the round. Shifting reels cause the leftmost reel to disappear and the remaining reels shift over one place to the left, joined by a completely new reel on the right, which causes winning symbols to become sticky and build up to multipliers of up to 5X for the next spin. The game allows spins with no winning combinations to still be lucky, as up to six symbols could be replaced with another, allowing additional winning opportunities. The T-Rex acts as the wild symbol and the most exciting feature allows the reels to shake when no winning combinations are present, allowing a dinosaur to swallow six symbols, these gets replaced with another symbol to allow additional winning chances. 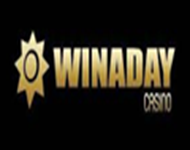 Lost World video slot is available for play at Win A Day, which develops its own exclusive games. Casino Manager Michael Hilary shared that when he was young he loved dinosaurs, and that Jurassic Park was his favourite move, so he really enjoyed watching the design crew develop this new game offering great graphics and amazing new features. Guts Casino certainly enjoyed an amazing few months with birthday celebrations and many other changes behind the scenes. They set out to make June a month to remember with an exciting push to increase the family before the month is over. Time is running out for new players to take advantage of their whopping 300% deposit bonus up to $75 on the initial deposit and 100 free spins on NetEnt’s Starburst video slot. The welcome bonus offers better, bigger, and boosted bonuses until 23:50 on 30th June, with the usage of code 300BIG. The welcome bonus will increase a deposit of just $25 to a play amount of $100, which is a staggering increase value, giving new players a much larger chance to enjoy and win on their large selection of the most popular NetEnt games. This bonus is subject to wagering requirements of 45x before being converted to real cash allowing withdrawal. The standard welcome bonus at Guts Casino is 100% up to $50 and the June promotion received a massive boost. 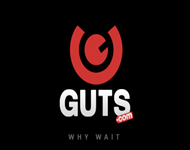 Guts Casino’s motto says it all, “why wait?” and they are all about living life to the fullest. The casino is player friendly, easy to use, and offers an enormous range of NetEnt games including Stickers, Spiñata Grande, Gonzo’s Quest, Twin Spin, and Piggy Riches. The brand new, just released Neon Staxx video slot is currently already available to all Guts Casino members. Mobile users can enjoy the 300% bonus offer, plus the 100 free spins on Starburst, new mobile users can download the casino in 3 easy steps or just scan the QR code from their desktop. The mobile casino offers a huge selection of games from Play’n Go, Microgaming, Betsoft, and NetEnt. Now that summer is here, Guts Casino will definitely offer an outstanding range of promotions, the last weekend of June started in the most luxurious way, and July surely must be bound to be even more extravagant! NYX Gaming Group just announced the successful conclusion of a content supply deal with a leading internationally recognised B2B gaming content and platform supplier, Nektan plc, whereby NYX would be delivering premium content from their open gaming system to the casino supplier. Nektan already released the first in a series of titles from Nextgen Gaming, delivered via the NYX OGS earlier in the week. David Flynn, NYX Gaming Group EVP Business Development, in his comments on the deal said they were delighted with the opportunity to launch the OGS with Nektan. The casino is a fast rising public concern with great UK focused brands for clients. NYX’s open gaming system already boasts over 350 gaming titles, with more than 150 HTML5 titles catering for tablet and mobile devices. Working together with Nektan allows them the swiftness to market our mobile product content. David Gosen, Nektan PLC CEO, also commented on this, their latest deal stating that they were highly excited to work with the NYX Gaming Group in partnership; they established a extraordinary track record for being an innovative, growing software content supplier. The agreement already helps Nektan in delivering a fast growing collection best of class gaming titles, to complement their own industry-leading gaming portfolio. They are looking forward to be working with them in partnership in the long haul to further enhance their gaming content offering for their white label partners. Nektan, a mobile entity developing licenses and currently operating Freemium and Real Money Gaming regulated global markets. The core focus remains on bingo and casino markets to deliver innovative, unique touch screen gaming product content, services and platforms to cater to commercial operators, brand owners, and land based operators. The company’s gaming and content technology creates new market opportunities, acquiring new players and establish access to new revenue sources. Their product content supports both iOS and premium brand Android devices. The on-line casino industry has been witness to an ever increasing level of regulatory influences during the past several years, with Italy taking the lead in the passing of regulations to become one of the first countries to receive tax revenues raised from the gambling industry. This incentivised the Italian government to act highly aggressively to prevent and deter unlicensed competitors from illegally operating in the local market, and this is the reason why the newly closed agreement that makes BetSoft’s gaming library titles legally available to all players within the Italian market, enjoys such a big fanfare in the media. iGaming Tech provides Betsoft with legal entry via a gaming platform from the company that is currently legally licensed in the closed and jealously guarded Italian arena. This comes about from the latest new deal between iGaming Tech and BetSoft, which includes all BetSoft titles that is now offered as part of this legal gaming platform. A highly important first drop in a series drops that will potentially turn into a flood of new entertainment titles, to players that to date have never legally enjoyed the benefit of the renowned software developers high quality gaming creations before. The move also opens previously un-explorable avenues for BetSoft to another relatively untapped level of expansion contained within this protected market. In addition it offers iGaming Tech the opportunity to improve, expand, and strengthen their gaming portfolio with a greater number slots on offer, also the ability for them to offer, unmatched in quality, products from a pioneer and world leader in the quality of on-line slot gaming creations. One of the factor that provides the deal with the greatest impact is that the offered BetSoft content comprises their entire gaming portfolio and all the unique features and entertainment it has to offer. 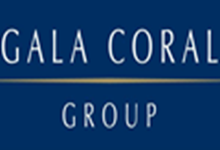 Gala Coral, the British casino operator announced its release of the on-line version and adaptation of the company’s land based Wild Magic video slot machine. Their latest slot promises to be one of the 10 Omni-channel titles to be released on their range of wagering sites the latest creation would be developed on an all HTML5 platform to ensure many simultaneous future releases across mobile and desktop user devices from their Manchester based CR Games studio. The company also benefits by having their strong in-house gaming and software development team, ensuring they start off with an excellent framework for gaming development and design, offering the necessary experience required in a highly-competitive UK slot machine market. The team provides authentic benefits in the delivery of their best possible quality, innovative Omni-channel products to all their customers. Their Wild Magic video slot offers its wild magic on a 5reel 10 pay-line slot containing magical features like free spins, a Wild Symbol trail, and an added Red Hat Wilds Bonus. Mark Kemp, Gaming Director Gala Coral, said in his comments on this, their latest release that Wild Magic would be just the first in many such elite Omni-channel slots titles, and they will all be made accessible across i-stores like Apple’s iTunes and Google Play to Smartphone and tablet users. Due to Gala Coral’s new partnership with Ruby Seven Studios, a social casino app and a gaming publisher has finally arrived along with their new launching at Ruby Seven Studios and the Magician Casino, offering a free-to-play slots mobile app that will be residing under their Gala Coral CR Games casinos brand. The new titles are available to play at Gala Bingo as well as GalaCasino right now. Magician Casino currently offers three adaptations of Gala Coral game titles; included are Wild Magic, The Magician, as well as Jokers Gold, to present players with 3-D animations, free spins, expanding wilds and several other quite distinctive mini-games that would all be accompanied by its central character, The Magician! Yggdrasil Gaming revealed a new deal that was struck between themselves and BetClic Everest, agreeing to supply three of the casino brands owned by the group, with complete access all the titles in the provider’s product suite, this would also include Joker Millions its newly launched and company first, pooled on-line progressive jackpot feature. The three casinos nominated to receive the benefits of the newly celebrated agreement will be BetClic, MonteCarlo Casino, and Expekt. All three these casinos will receive this innovative dream gaming-portfolio currently containing twelve video slots, an Infinite gamification API, their industry first Super Free Spin promotional free spins tool, as well as their new pioneering mobile-friendly user-interface HTML5 developed framework named iSENSE. Fredrik Elmqvist, Yggdrasil Gaming, CEO said there exists no better approval of their iSENSE 2.0 and Infinite API for gamification than to sign an agreement with operators as expansive and renowned as BetClic Everest Group. They’re excited to work closely with the BetClic team to assist in driving player engagement and revenues. BetClic Everest Group’s Innovation Director, Pascal Brouet, said they are just interested in co-operating with the top, most innovative providers and they place Yggdrasil in this bracket. The content is always excellent and this company’s focus on player experience became particularly appealing to BetClic. Their mind state reflects our own vision, to integrate innovating casino offerings from the very best providers. They’re highly excited to work with Yggdrasil and they’re sure the players would be delighted with the newest additions to their service. The Yggdrasil gaming portfolio holds a large range that includes their popular casino titles, such as Cazino Zeppelin, Jokerizer, Reef Run, and Winterberries, as well as their first pooled progressive slot called Joker Millions, and its desktop & mobile multi-channel successor slot, The Dark Joker Rizes. The team members at Yggdrasil Gaming were thrilled that the company received the recognition and honour as the Software Rising Star at the EGR B2B Award ceremony at the Pavilion, Tower of London. The award represents a remarkable achievement for Yggdrasil Gaming, since it was the first year they entered as a competitor in the prestigious awards ceremony. Fredrik Elmqvist, Yggdrasil Gaming CEO, enthused that he was immensely proud to receive the award. Their team worked extremely hard during the past year and this represents a fantastically rewarding recognition for their efforts. He further stated that the EGR B2B Awards symbolize the Oscars of the gaming world and winning an award in their first year they’ve applied was more than they could wish for, this only signifies the beginning and they’re focused entirely on delivering their very best and most innovative software content available in the industry. It represents massive achievement for the up-and-coming casino software solutions and gaming provider that managed to sign several of the largest and most prominent casino operators during the past 18 months. The current achievement for Yggdrasil as first time competitors to have received one major award and four nominations in prestigious categories in one of the most respected award ceremonies globally epitomizes a shining example of excellence in gaming creation and development. It also serves as an excellent indicator of things to come from this innovative pioneer of what is possible in the field of graphical capabilities, within the fast growing high demand market of slots gaming. Yggdrasil has since the start of the 2015 year, launched their newly developed mobile focused HTML5 framework named iSENSE 2.0, the next historical milestone for the company arrived in the form of its very first supplier backed, on-line pooled progressive jackpot called Joker Millions. They have just recently successfully launched a new and industry first promotional concept called Super Free Spins, this new concept in expanding the detailed promotional capabilities for casino operators will revolutionise the industry for generations. Nektan, a mobile iGaming content and platform provider confirmed it successfully received approval of both their software and gaming licences to operate in the UK market. The UK Gambling Commission issued the licences; the supplier operated under a continuation licence obtained from Gibraltar for UK gaming services, since the approval and acceptance of the new regulation in the UK late during 2014. David Gosen, Nektan’s CEO, commented on their newly obtained approval, stating that they are very pleased to receive approval for both software and gaming licences, allowing Nektan to operate their platform for their partners under this local licence within the UK market. The UK remains the largest iGaming market within Europe and is a key focus for their continued growth. This approval of their services will fortify Nektan’s continuing commerce development in the UK market. Their mobile platform targeted expansion of their business service via strategic partnerships to high coverage media partners. Earlier in June, the Nektan management confirmed their launching of the Sun Play white-label mobile gambling app through News UK media, owners of The Sun, a UK newspaper. Nektan further announced a media gaming joint venture with TV3 Ireland in 2015. The software solutions provider announced they secured £7.1 million during their latest funding via a combination that involved securing their loans and issuing additional new shares to investors.